If you are quite new to singing in the choir you are going to love these lessons. They are easy to comprehend and you can absolutely use these choir singing tips with a little practice. So, take down some notes and be prepared to practice what you’ve discovered. The singing tips and tricks for the choir below will certainly be well worth your efforts. Choir Singing Tips – What do you need to sing in a choir? To sing the right way in a choir you need a pure angelic tone. You need tone control. You may even need a vocal range that is a bit greater than normal singing. In this style of singing you need particularly good control over the way you sing through your vocal registers. You need to be able to sing smoothly from your lower ranges to your highest note. 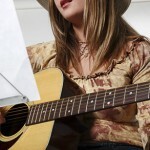 You also need to be able to sing in a light, but connected tone up the top of your range. But how do I sing using these methods? 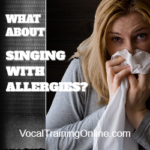 There are vocal exercises for choirs that will condition your voice so it functions in this way. Before I tell you which singing tips and techniques will cause this result for you though, let’s first have a look at how your voice works when you are singing choir songs. Firstly, how do you get that pure angelic tone that sounds completely heavenly? Let’s shine some light on this. 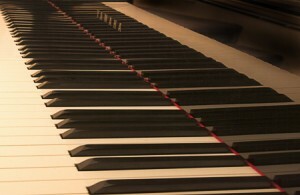 The answer lies in the way that you color your tone with your resonance. When you sing, your sound moves up through your throat. Then it moves to your mouth and nasal cavity. The way in which this happens, causes the tone quality that you hear. You can think of these three cavities like tone controls on a stereo set. Your throat and mouth contain the power and depth. Your head resonance controls the sweetness and rich quality in your tone. To sing in a choir situation, you must learn to sing with more head resonance which will give you that sweet, angelic tone that you’re after. To see what it feels like to use more head resonance, try this little exercise. Take a CD out of your song collection, and sing a song all the way through. But instead of singing the words, use an “Oooouuuu” sound. It automatically redirects your tone so more sound resonates in your head cavity. This will cause your voice to have a sweet, angelic tone quality which is vital to singing in a choral situation! Another vocal exercise for choirs is to use a “cry like tone”. Sing a song that you enjoy, and for every brand-new note, add a “cry” like quality. Really milk it! Sing it almost as if you were crying and singing at the same time. You will find that singing this way will add an extra “sweetness” to your voice. It will also remove tension and make choir singing feel much easier and relaxed. It may sound a little ridiculous singing in this way! Once you have mastered it though, you can “ease off” the cry like quality, bringing it back to a more subtle level. You will find that despite the fact that you’ve backed off, you still get the bonus of a sweeter, easier tone production. To really master your choir singing abilities, be sure to investigate the exercises in this residence study course. Before using them, my voice was in tatters. I suffered from terrible technique, singing was a massive struggle, and my tone sounded utterly awful! These easy singing tips and tricks for choirs really changed it around for me though. They imprinted new, correct vocal technique into my voice. And, as I continued to practice these highly effective exercises, things sounded better and better. After a year of practicing, I had completely dropped all signs of bad technique, and had developed a singing voice that has my fellow singers both amazed and even a little jealous! The teacher of this program, Brett Manning is a guy who really lives his method. These exercises and methodology have been hard earned and we are fortunate that we can just step in and inherit the fruits of all his effort and experimentation! This is a guy who works with singers 12 hours a day. Several of these vocalists are pros at the top of their game. And they trust Brett and only Brett to take them through their paces and develop their voices further. When you get to his website, watch some of the videos to meet some of his students. 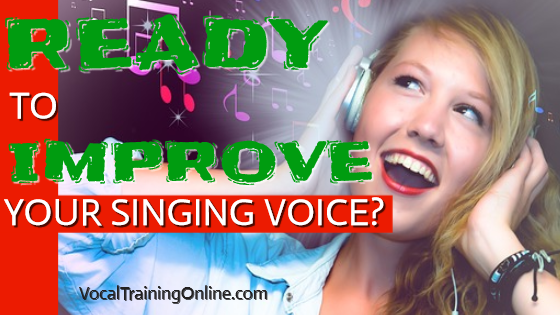 Now that you’ve found out a bit more about singing, you’ll desire to take your vocal abilities to a higher level. 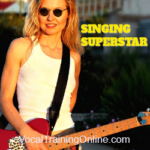 There are lots of great vocal training courses online you can take like the one. 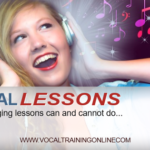 If you want to truly master your choir singing voice, I highly recommend investigating the vocal exercises for choirs at this website. Who else wants to learn how to sing in a choir with a full vocal range. Who wants to reach high notes with Crisp Harmonic Perfection? With Singorama You’ll Learn to Sing Like a Professional! ==> Check out Singorama here! Ready to learn more about singing?